Even if you have a high-quality optic or scope on your rifle, it is important to have a set of back up iron sights mounted to your receiver and rail just in case your optic fails. This 45-degree flip-up rear and front sights are designed to stay out of the way when you don’t need it and quickly deploy when you do. It is precision machined from aluminum and features a matte black finish so you can be sure it won’t break or rust in harsh conditions. This backup sight is angled so you can quickly transition between your optic and iron sights depending on the situation. This style of canted iron sight is popular with 3 gun competition shooters who have to quickly change between long-range and close targets. It is quickly deployable via a positive lock button that, when depressed, locks the sight tower to prevent it from collapsing during use and locks in the folded position to keep it out of the way. The rear aperture is adjustable for windage via the tool-less adjustment knob and features two aperture types depending on your preference. The low-profile sight base attaches to 1913 picatinny rails. 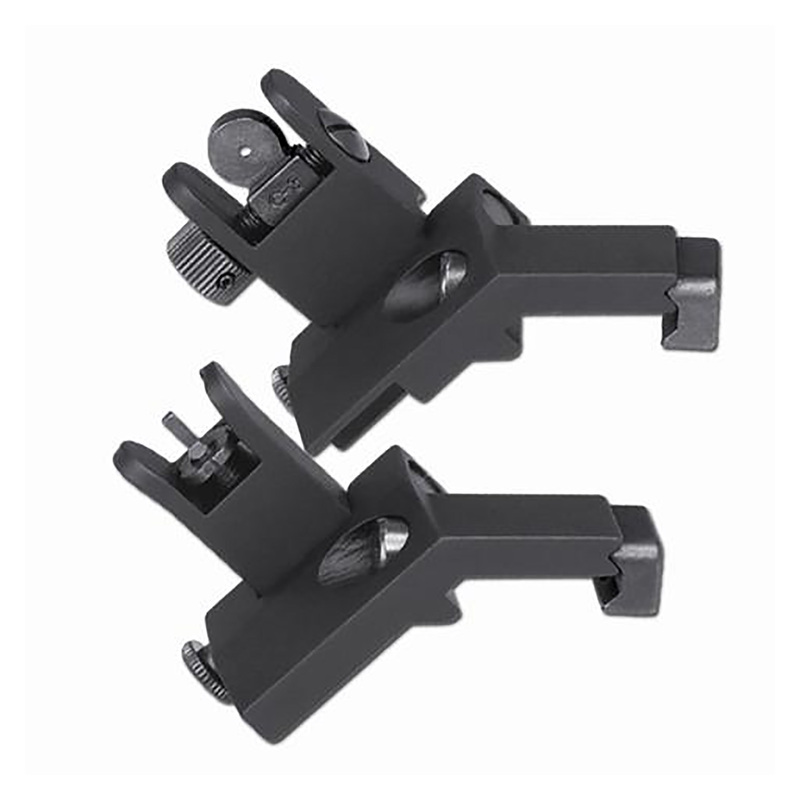 Ensure your AR-15 or AR-10 will keep you in the fight with these back-up rear and front iron sights.